Where possible we source our meat locally, although we do have some beautiful Aberdeen Angus available. We supply local Lamb, Pork and Poultry. Our Game is from the local game dealer – it’s about sourcing the very best for our customers. With customers increasingly becoming disillusioned with Supermarket meats and their associated health scares we are proud to provide locally sourced products where we are able to trace back to even the name of the animal. 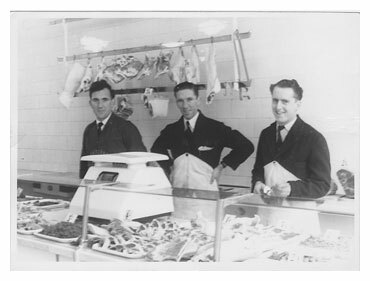 Andrew Grover is extremely selective in choosing the products for his butchers shops so that the customers receive the best quality available. We make our own Biltong and Boerewors, deliciously South African. We also stock a large selection of exotic meats such as Kangaroo, Crocodile, Python and Zebra exotic meats……. to name but a few!! We make all our own sausages and burgers from the basic pork sausage to the more unusual, all with the highest quality ingredients. In 2015, 2017 & 2018 we won Gold and Silver Awards for our delicious, high quality sausages for which we are very proud of our team for their achievement.